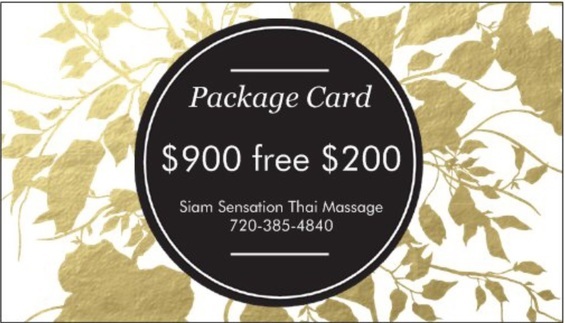 * Package Card, great discount for your family. * Special price for Ionic Foot Bath ($25) and Infrared Sauna ($15) with Massage. 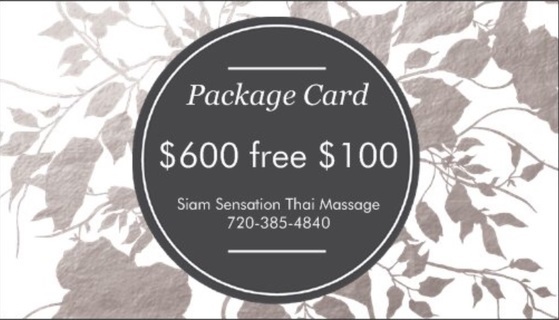 Package card also available.